Need to know where your equipment is? 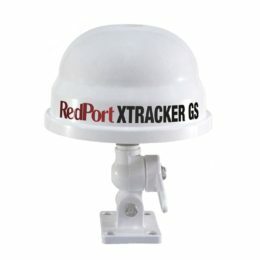 The RedPort XTracker BR (Broadband) is a robust, dependable, and extremely compact tracking device that sends out GPS position reports at pre-programmed intervals. The RedPort XTracker GS allows you to track your assets and vessels anywhere within the expansive Globalstar Simplex coverage area effectively bringing high-performance to your tracking solution. The XTracker IR is a robust, dependable, and extremely compact satellite tracking terminal that sends out GPS position reports at pre-programmed intervals from anywhere on the planet. The RockFLEET is a tracking device designed for permanent installation on ships, yachts, vehicles and other assets; powered with a backup battery. The Iridium SBD Power Pack Mini is the perfect tracking transceiver for any solution to help keep whatever you need safe. The Iridium 9602 satellite tracking transceiver is designed for integration into complete wireless solutions, it provides the critical global data communications necessary for today’s global solutions. Engineered to be state-of-the-art technology, the GSatMicro is combined with ingenious hardware development to create one of the world’s most powerful satellite trackers.